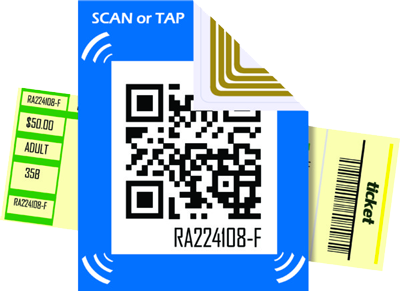 NFC Tag News: Scan with barcode scanner! Program Launched for Custom Business Applications to Read-Write NFC Tag Data using Android Smartphones, Aims to Simplify Administration of Ticket Validation, Access Control, Loyalty and Stored Value Services. To participate, please go here. Boston, MA (Dec. 21, 2011): Skycore LLC, a leading mobile solutions provider, today announced launching a beta program for customizing its codeREADr barcode scanning app so businesses can add reading and writing data to NFC tags. When installed on NFC-enabled Android smartphones, the customized codeREADr app can read, record, track and validate data embedded in NFC tags. This functionality mirrors the app’s current use for reading data embedded in 1D/2D barcodes. However, a significant benefit for deploying NFC tags is the ability for the app to act as initiator of both read and write commands. Skycore’s beta program will build custom initiator features for clients to enable unique auto-ID, data capture and fulfillment functionality. “We see writing to NFC tags at the point of service as an important technology differentiator,” said Rich Eicher, founder and CEO of Skycore. “It enables custom functionality and can even simplify administration of certain ticket validation, access control, loyalty reward and stored value programs,” he added. Reading NFC tags with Android smartphones – as opposed to traditional NFC readers – allows data to be read, written and processed on the device itself or to be transmitted to the cloud, all without the need to connect to desktops or laptops. “As NFC-enabled phones become readily available over the next few years, our business customers will enjoy a wide selection of devices for installing codeREADr and consumers will be able to present an NFC tag, a printed or mobile barcode or their own NFC-enabled phone. That’s the future, “ said Eicher. 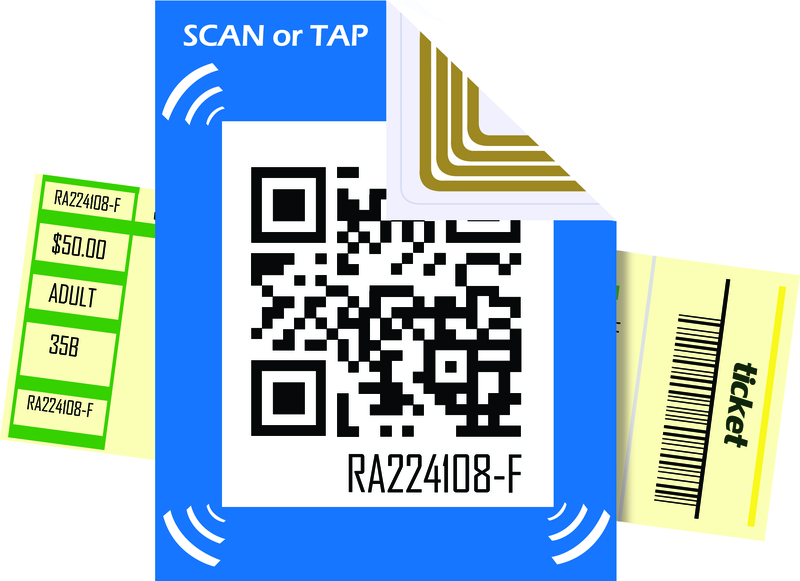 NFC Tag plus Printed QR Code: Combine NFC and QR codes in NFC tags. Embed the same data in both the QR code and NFC tag or have different data embedded in each. Track, Validate & Authenticate NFC or QR code data with the codeREADr platform. NFC for ID Validation with Smartphones & Smart Devices: Service providers and enterprises can use smartphones to securely track, validate and authenticate data embedded in NFC tags and NFC-enabled phones. Data is validated against on-device or online databases.